يشكل Laurel Cottage بموقعه الممتاز في المدينة نقطة انطلاق جيدة لاستكشاف أفضل ما فيها من معالم ومناطق نابضة بالحياة. يمكن من هنا للضيوف الاستمتاع بسهولة الوصول إلى كل ما تقدمه هذه المدينة النابضة بالحياة. يوجد العديد من المعالم السياحية الأكثر جذبًا للسياح في هذه المنطقة. استمتع بالخدمات الراقية والضيافة التي لا مثيل لها بهذا الفندق في هذه المدينة رائعة الجمال. لضمان راحة ضيوفه، يقدم الفندق الخدمات التالية: واي فاي في المناطق العامة, صف السيارات, مكان مخصص للتدخين . يمكن للنزلاء الاختيار من ضمن مجموعة من الغرف المصممة بعناية لتعكس جواً من الراحة، والتي يتجاوز عددها 2. صممت خدمات الاستجمام في الفندق والتي تتضمن حديقة لمساعدتك على الاسترخاء والراحة. إن Laurel Cottage هو خيار ذكي بالنسبة للمسافرين، فهو يوفر إقامة هادئة ومناسبة للاسترخاء. This lovely cottage is a stones throw from Richmond Bridge, the oldest Australian bridge. Built in 1830's, it housed and ex convict and family of 10 children. Mine host Judy greets you and shows you the ropes. A lovley breakfast is there for you as well. Lovely cottage garden. Only for couples or with young kids, as bathroom access is in main bedroom. Wood fire in lounge, electric heater in kitchen. Port and chokkies to nightcap with. With the pub closed for redecoration Richmond had very restricted eating with Bakery closing at 5 PM. Warning rather than complaint! The presentation of this historical cottage.The breakfast and other little touches provided to make you feel welcome. After travelling all day it was so nice to end our day at Laurel Cottage, quiet, relaxing and nice setting. Cottage is located close to town so you can walk and take in the history of Richmond a beautiful little township. Attention to detail,Breakfasr and a complimentary Port and Chocolates ! Extremely comfortable,with a very accommodating host. Laurel cottage was a perfect start to our Tasmanian holiday. It is right next to the Richmond Bridge and a very short walk to the rest of Richmond while being a little out of the busier main centre. It is a beautiful place to stay and was generously supplied with tea, coffee and continental breakfast food. We felt right at home. Generally ok, environment is very beautiful, facilities are complete. but the transportation to city or other place is inconvenient and the room cleanness needs to improve. Characterful cottage, perfect location in quiet, historical village of Richmond, extremely friendly, helpful owner who lives nearby. We cannot praise this property enough, so glad we found it. Great care has been taken to capture the atmosphere of a bygone age, but still maintain the comforts of the present day. Discovering all the artifacts was a joy and staying in a building with such a detailed history wss a priviledge. The breakfast provisions were surprisingly generous and varied. Julie, the owner who lives next door was friendly and helpful and we are grateful that she chooses to share her wonderful property with others at a very reasonable tariff - we would definitely return if we get the opportunity to visit Tasmania in the future. We love the cottage. It is so magical, like those that I've seen in fairy tales. 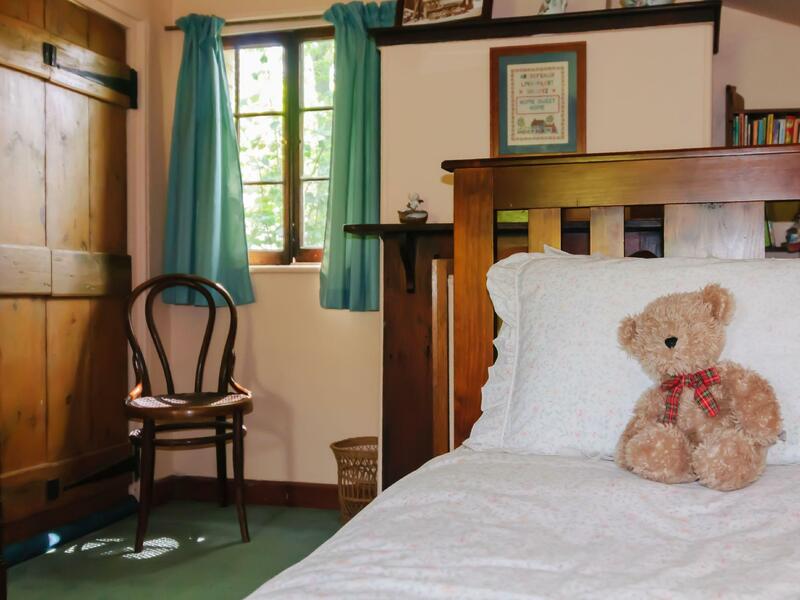 The cottage is more than 100 years old and it has retained its original design with modern facilities like TV, oven and washing machines provided. You get to enjoy its historical charm and also live comfortably with the modern facilities. We love the fire place. It makes the cottage so cozy. It's owner, Ms Julie, is a friendly old lady, who just lives in a house behind the cottage. I would highly recommend the cottage to families. highly recommend! you can feel Julie's dedication to the cottage by the little details. a switch, a hook, a little decoration, all show her thoughtful heart to make you feel enjoyable staying here. In einem historischen Gebäude findet man alles was man braucht: Küche, Waschmaschine, zwei Schlafzimmer und ein Wohnzimmer. Das Frühstück war ebenfalls ausgezeichnet .